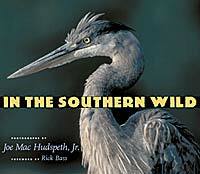 The Wildlife Photography of Joe Mac Hudspeth, Jr. Available in Book Stores and Gift Shops! 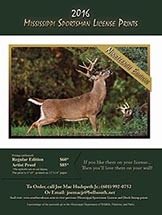 Annoucing the release of the newest coffee table book by photographer Joe Mac Hudspeth, Jr.
My Southern Wild, a collection of wildlife and scenic photography he has taken throughout Mississippi over the past 30 years. 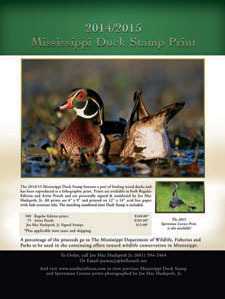 It contains 144 full color pages of Mississippi scenery, deer, ducks, turkeys, gators, gallinules and other wildlife that are sure to appeal to anyone who loves the great outdoors. In the Southern Wild is the first book by the Mississippi-born and raised wildlife photographer. 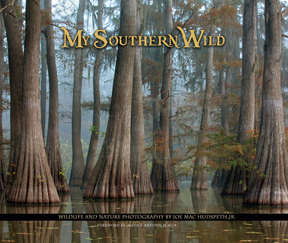 The book is filled with 151 color photographs of wildlife and scenery accompanied by Hudspeth's commentary which detail the photographer's 20 year journey from amateur hobbyist to award-winning professional. Rick Bass writes, "Wetlands are vanishing quickly in this country, and around the world, but I have to believe in hope, and in the possibility that images as vivid and powerful as these will help remind us of our many blessings, and of the incumbent responsibilities not just to celebrate but to safeguard these blessings". Stay informed by joining Joe Mac's eList! Photography & Content Copyright © - Joe Mac Hudspeth, Jr.